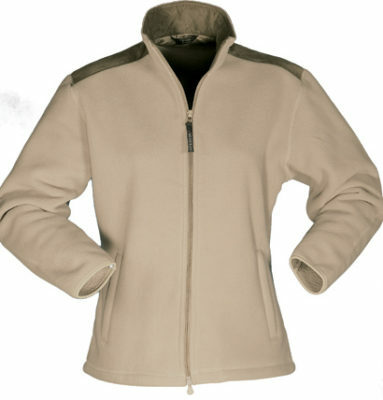 Made from 340g 100% polyester windshield polar fleece fabric, this distinctive winter jacket features a back yoke. a toggle at the hem, suede panels on the shoulders and inside collar, a full front zip and zippered side pockets. The Windguard Ladies Jacket is a stylish yet warm branded jacket that’s perfect for those businesses with staff working in warehouses and on the job site. Made from 100% polyester polar fleece fabric, the Windguard will keep your staff warm throughout the coldest winter morning. Featuring suade panels on the shoulders and inside collar as well as full zip and zippered pockets, the Windguard jacket is available in three great colour options – beige/camel, navy and black. Available in sizes 8 – 22, these jackets are breathable, warm, and wind cold proof making them a great choice for work sites, travel, office staff or those travelling from office to office. The Windguard jacket holds a great embroidered brand or logo, making it a great choice for any business. Team up the ladies branded Windguard Jacket with the men’s Windguard Jacket for a stylish overall look for your business.